This post has already been read 8858 times! Baganda Radio, as it is called, will start broadcasting in Uganda this evening. Baganda radioalso available on www.bagandaradio.com will be broadcasting its program “Wooli Nywera” live in Luganda to Eastern, Central and Southern Africa starting today (Saturday, March 27, 2010) at 8:00pm East African time. The frequency is 15410 KHz in the 19 meter band. For the rest of the world, the show will be broadcast live on the internet at http://www.facebook.com/l/7cc71;www.ababaka.com. The founders of the radio are reportedly fundraising from among loyal Baganda to support the radio. 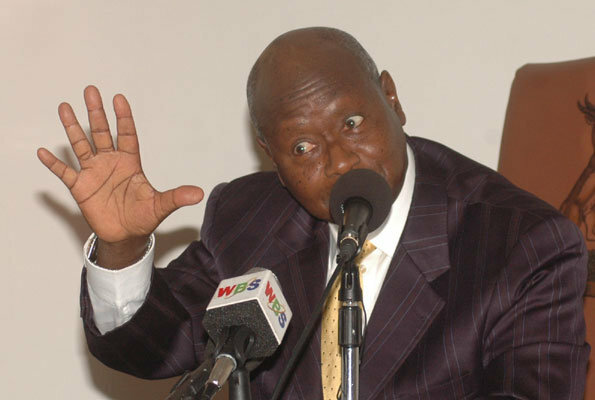 The radio is expected to be more anti-NRM and anti-President Museveni than any other radio in Uganda has ever been. Their target panelists include opposition party leaders, Col. Kiiza Besigye (FDC) and Olara Otunnu (UPC). The radio will have talk shows on Saturdays and Sundays.